If you haven’t been to the Magic Kingdom in a while, your next trip will bring you plenty of new sights before you even enter the park. 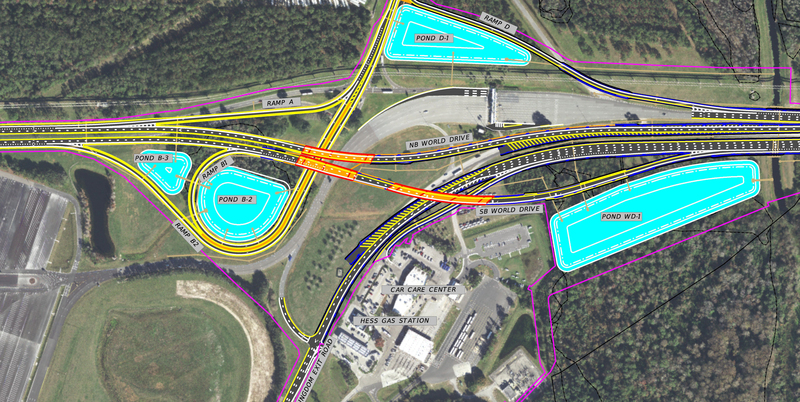 Disney is in the middle of a massive traffic flow overhaul in the area surrounding the Magic Kingdom parking plaza. 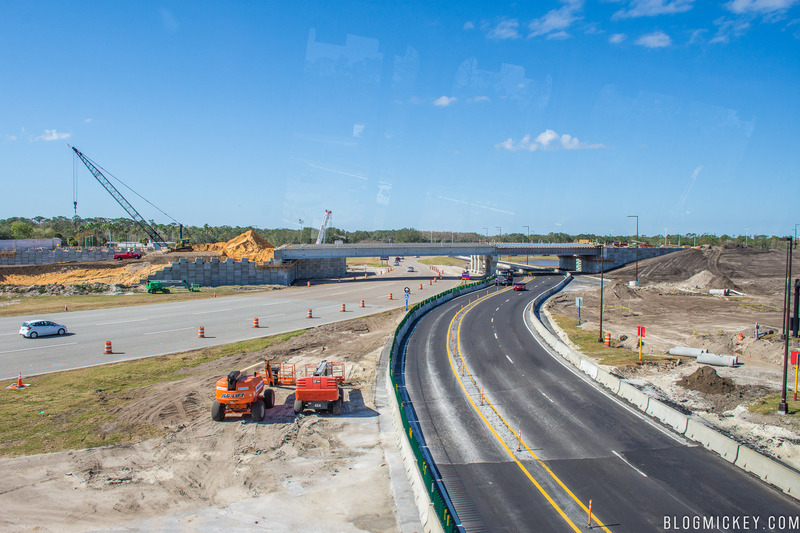 The new traffic flow will take guests traveling to the Magic Kingdom area resorts straight past the parking plaza, cutting down on traffic backups and delays that used to be present when traveling through the plaza to your resort of choice. 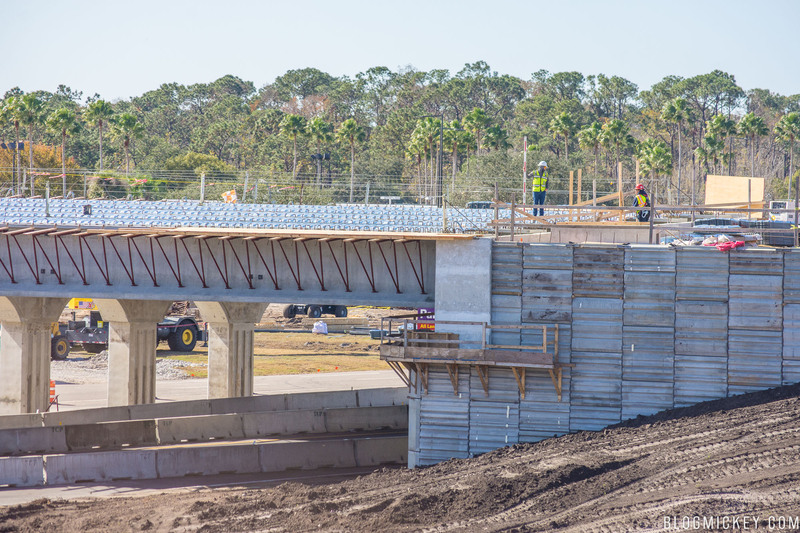 The flyover is expected to be completed this summer, and there has been quite a bit of progress since we last updated you on the project. First, an overview of the work going on via a permit filed with the state. 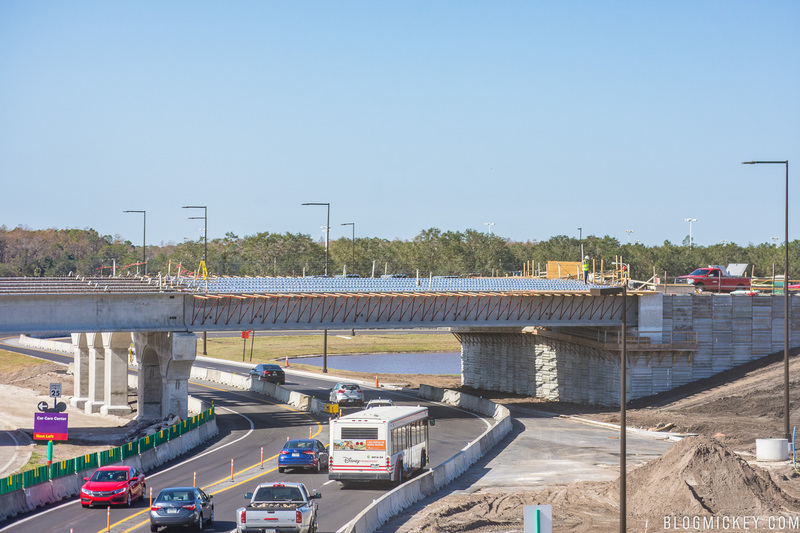 Both northbound and southbound World Drive traffic will use the flyover. That means that you will eventually use a left exit to get to the Magic Kingdom resort area, even though there is a right exit in use right now temporarily. Here’s a current look at the work. 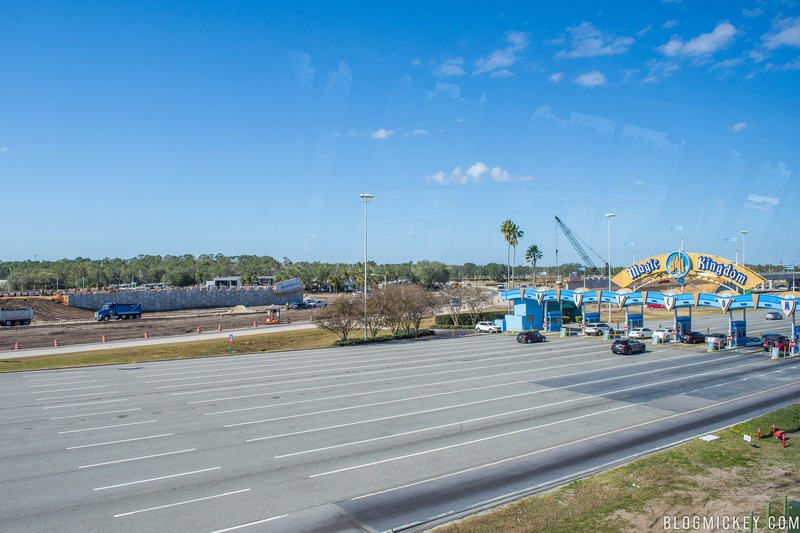 As you approach the Magic Kingdom parking plaza from the south, you’ll notice work occurring next to the southbound lane. 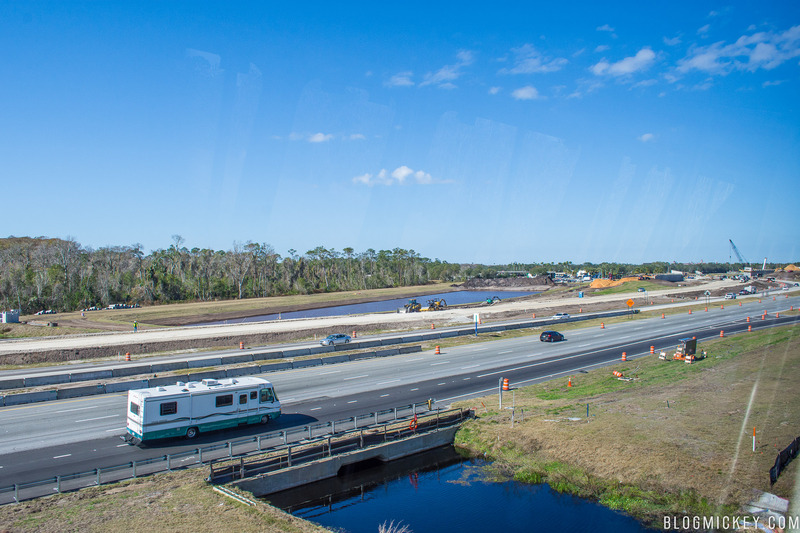 Seen below, the three lanes from the foreground to the background are World Drive north, World Drive south, and the new World Drive south lanes being created. 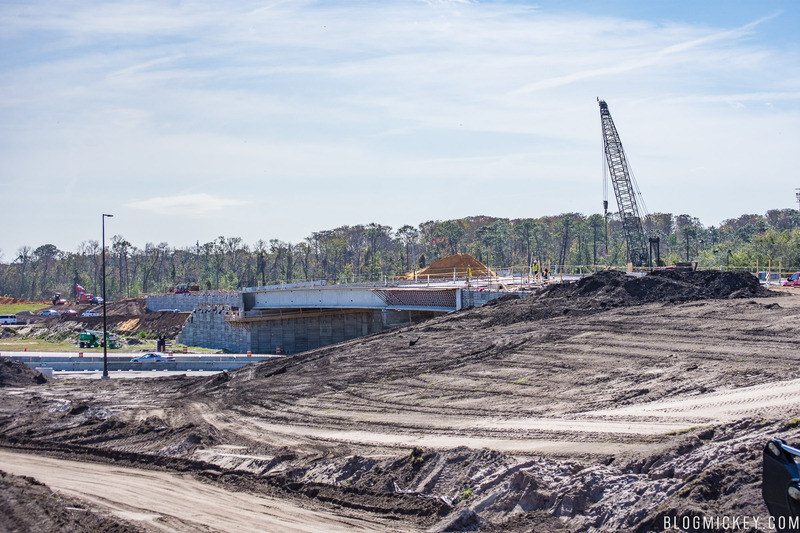 We start to see more construction to the left of the Magic Kingdom parking plaza. On the other side of the parking plaza is where the bulk of the work is occurring. 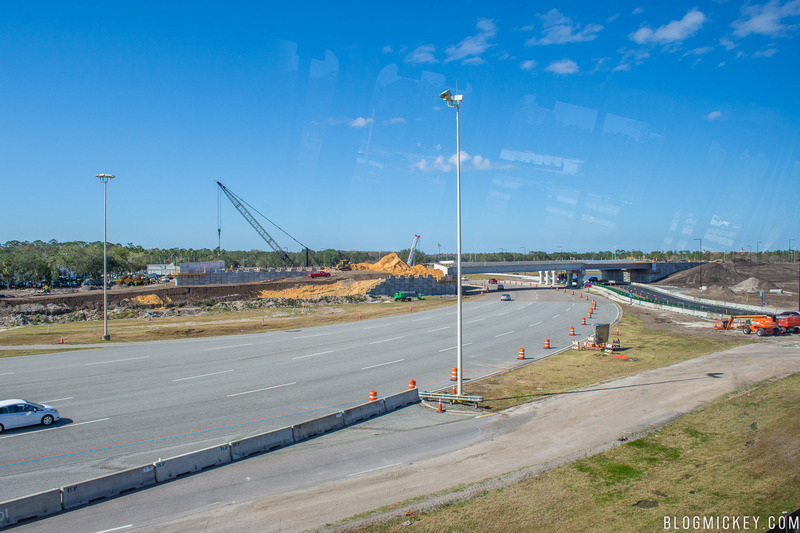 The four lanes on the left are the lanes that will take you to the Magic Kingdom parking lot. 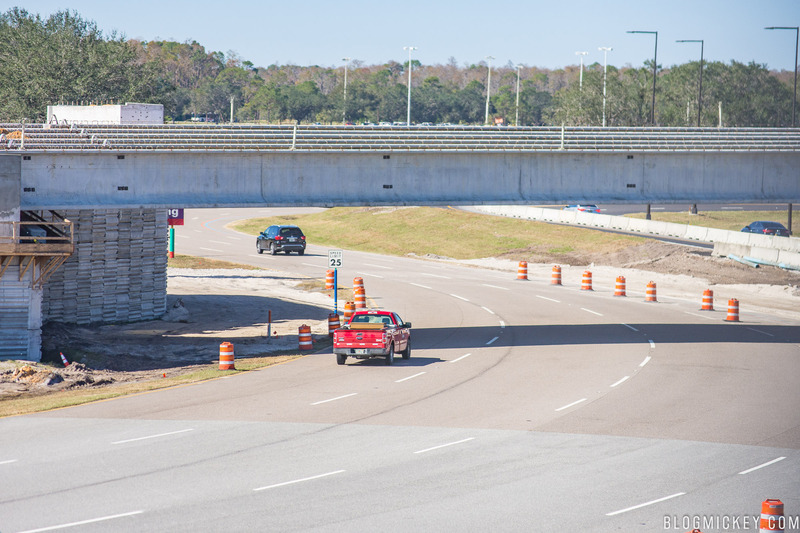 The new lane below is part of the current toll plaza bypass, until the flyover is complete. A closer look at the bridge work going on.